Event status: Rocky Mountain Green will be starting on time. Please travel safely and plan ahead for inclement weather delays. We look forward to seeing you. The U.S. Green Building Council has commissioned ClearPath Strategies, a global public opinion research company, to conduct independent nationwide research on people’s views of the environment. By and large, respondents from all walks of life are deeply concerned about the health of our environment over the long-term, but do very little to address the problem in their daily lives. When asked why, they say it simply feels like too daunting a task. And, in a wake-up call for our community, they still rank green buildings quite low as a viable avenue for improving the environment. *Agenda is subject to change without notice. Explore the changing landscape of energy codes and green building certification programs. This session will focus specifically on residential programs and codes designers and builders can use as stepping stones to achieve LEED for Homes v4 certification. Regenerative Development is becoming a buzz word in the Green Building industry. Join this interactive session to learn the definition and key concepts of Regenerative Development, apply tangible activities to your work, see case studies, and leave with tools to expand the impact and long term success of your projects. Transit-oriented development is booming in Colorado and leading to economic growth; however, it is also fostering unprecedented rates of displacement and loss of critical community services. New policy mechanisms, guided by Denver’s first Equitable Development Plan, are preserving equity, affordability, and access by incentivizing inclusive development and strengthening community resilience. How one design team looked at water resources in a Colorado location that has no water utility. From water collection, delivery, use reduction and finally water treatment and reclaimed water reuse, we will tell the story of this unique project that touches on every aspect of the water cycle. 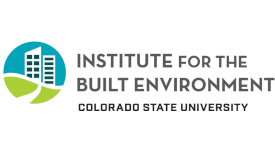 This learning session profiles the Enhanced Commissioning program for three new LEED-certified construction projects on the Colorado State University campus, including renovation of the Corbett-Parmelee Dining Hall, and new construction of the Health Education Outreach Center and the Global Food Innovation Center. Aligned with LEED V4 Option 1, Path 2 Enhanced and Monitoring-Based Commissioning, CSU’s commissioning authority (CxA), McKinstry, incorporated MBCx in the Cx Plans to verify that building operators have the proper tools to manage their equipment efficiently and effectively. Through Active Energy Management (AEM), CSU’s building operators and the CxA leverage equipment monitoring and analytics of continuous stream building automation trend data and metering data to identify operational issues as they occur. With CxA oversight of monitoring procedures and energy analysis, CSU can effectively identify faults as well as the appropriate corrective action, thereby saving time, money, and energy consumption over the lifetime of the building. Learn how to create extreme green, Net-Zero Energy, LEED Platinum custom homes. See three in-depth case studies and find out how cutting-edge sustainability, beauty and functionality can optimally come together in a custom home. Learn how to approach your next custom home project so that sustainability is incorporated from the outset and carried through to occupancy. Biking to work is shown to reduce employee stress, improve morale, lower the cost of transportation and keeps people physically active. In Los Angeles, the city with the worst traffic in the US, drivers spend 104 hours a year in traffic at a cost of $2,400. Find out how bike commuting ties into a company's quadruple bottom line and LEED. As health awareness persists through society, it is up to manufacturers and builders to answer consumer questions about how products and buildings effect not only nature, but people. Learning the ropes of transparency and green certification systems puts businesses on the forefront of satisfying consumers and global challenges on health. Energy efficient leased space is critical to achieve the carbon targets set forth in the Paris Accord. And the good news is that there are many opportunities in leased spaces to save both owner and tenant money. This interactive session will explore market context, the business case and industry solutions. The Pillars of Resilient and Equitable Community Development in the Western U.S.
What if new community developments acted as a positive change agent and created a more resilient habitat and equitable human experience than existed before? We will explore the effects of designing with mindfulness, diversity and ecological and human resiliency tactics during the planning phase of community development. Sustainable streets and creating better opportunities for pedestrian traffic is the focus of this course. We will discuss how walking paths and pavement design can bring communities together to create a more livable neighborhood and community environment. Additionally, applications concerning traffic calming and environmental benefits of pavement design will be reviewed. All design professionals and everyone interested in living and working in healthier, community-centric neighborhoods will benefit from participation in this course. Through this course, we strive to expand the scope of sustainability from individual projects to include neighborhoods and the connectivity that is vital to every community. Need a better tool to manage your existing buildings? 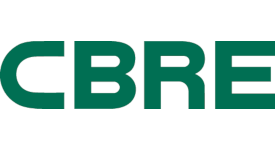 Learn results of a recent study comparing Arc and BREEAM In-Use in supporting CSU’s energy and sustainability goals. Learn whether Arc or BREEAM In-Use could be a useful benchmarking tool for monitoring energy, water, waste, transportation, and occupant health and comfort. Jet Propulsion Laboratories (JPL) has a campus in Pasadena with 100+ buildings, and as federal contractors to NASA they are required to have a minimum of 15% of their campus comply with the ‘Guiding Principles for Federal Leadership in High Performance Sustainable Buildings’. One of the ways this can be achieved is with LEED rating. We started with one building, a LEED O+M goal, and a 5 week submittal timeline to see what can be achieved. Many of us hear LEED and think of paperwork, even for existing buildings. The project team will discuss the challenges and advantages found with the new LEEDv4.1 O+M format, including the focus on ongoing measured performance instead of paperwork. The Client experience will be addressed, what were the pain points, what went well, and how the process allowed JPL to learn things about their building and campus that they can take forward from the project. 46 billion square feet of buildings in the US are more than 20 years old, and addressing these existing buildings will play a critical role in how we address energy and water use in buildings. Can LEED O+Mv4.1 help the industry with this seemingly mammoth task? Is this taking green building in the direction needed to address the reputation that has developed in recent years? While local governments play a leading role in advancing resiliency initiatives in their communities, the success of local initiatives often depends on whether there is support from other stakeholders. This session examines strategies used by three Colorado local governments to encourage buy-in for proposed policies and program initiatives. Learn about the implementation of the City of Boulder’s 2016 Climate Commitment, which calls for an 80% reduction in greenhouse gas emissions for city operations by 2030. 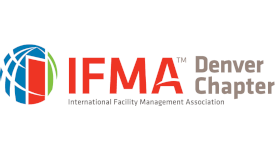 This session reviews pathways to achieving deep emissions reductions in buildings and a fundamental shift to a new model of facilities operational management. Restaurants are complicated and misunderstood building types that can cause teams to lose essential points in LEED v4 or WELL. This session will focus on strategies that design teams can use to achieve these challenging credits as well as restaurant design that encourages behavior change, supports sustainable operations, and promotes health and wellness programs. Tom Flanagan manages LEED certification and LEED quality assurance for EnergyLogic, Inc., where he has supported hundreds of LEED-certified residential projects throughout the U.S., and around the world. 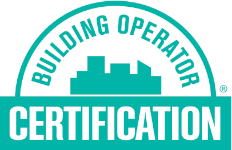 Tom has worked closely with USGBC staff to design and pilot a new production builder-friendly LEED certification process, in addition to advising on the new DOE Zero Energy Ready Home alternative compliance pathway to LEED for Homes v4 certification. He has served on the USGBC Colorado Market Leadership Advisory Board since 2016. Helene brings 15 years of experience in the built environment industry focused on sustainable design and construction, LEED project management, regenerative development, workshop facilitation, and innovative concept development. Her previous work as a LEED Certification Reviewer with USGBC/GBCI brings valuable insight to certification projects. Helene has contributed to the development and application of a regenerative development tool, the LENSES Framework, since 2008. She aspires to bring regenerative concepts to the design table, encouraging clients to see their building project as a catalyst for positive impact beyond the project boundary. Her professional goals are shaped by her previous work with Institute for the Built Environment at Colorado State University, Center for Living Environments and Regeneration (CLEAR), the U.S. Green Building Council, and Habitat for Humanity. Helene is passionate about sharing knowledge with students and professionals, and enjoys guest lecturing and presenting. Helene's experience in Regenerative Development is both through contributing content and theory to the LENSES Framework and in project application. She has been a co-instructor for several Regenerative Development online courses, presented on the topic as a guest lecturer for college courses, inspired clients through topical lunch and learns, and has contributed to several related published works. As the Executive Director of CLEAR and a founding developer of the LENSES Framework, Josie uses a process centered approach to facilitate regenerative development in individuals, teams and projects focused on the built environment. Josie believes that humans have the potential to be positive, contributive members of natural and social systems. As Associate Director for the Institute for the Built Environment at Colorado State University, Josie works with companies to develop capacity and action plans for regeneration. Josie is an engaging and sought after facilitator, with recent work spanning domestic and international projects across a variety of scales including individual buildings, master plans and district scale projects, and in organizational development and municipal programs. Josie holds a degree in Sustainable Enterprise from Fort Lewis College and a Masters of Construction Management with an emphasis in Sustainable Building at Colorado State University. Josie is a founding developer of The LENSES Framework, a Patterson Center Certified StratOp Facilitator, and was an early Living Building Challenge Ambassador Josie is continually growing her mastery in the subject of Regenerative Development. She has presented on the topic to dozens of clients, developed and taught regenerative development online and live professional development courses for the past four years, co-authored several publications on the topic, and appears in the 2015 documentary The Regenerates. As a presenter and teacher, she brings confidence, the ability to explain concepts in a way that anyone can relate to, and transfers her excitement for change as inspiration to others. Elizabeth is an action researcher, teacher, and regenerative designer who loves collaborating with others to co-create ecologically sustainable and socially just communities. Elizabeth now serves as a Visiting Assistant Professor with the College of Architecture and Planning at the University of Colorado, Denver. Prior to moving to Denver, she was a Visiting Assistant Professor at the University of Buffalo School of Architecture and Urban Planning. Through the Champions for Change program of One Region Forward, she supported community leaders in developing awareness-based practices to advance regional regeneration. She also served on the Board of the Western New York Environmental Alliance, a memberbased organization committed to mobilizing collective action to ensure sustainable, thriving ecosystems and communities in Western New York. Elizabeth completed her doctorate in Community and Regional Planning at the University of Texas in Austin. She was an active leader in her community. As Vice Chair of the Austin Housing Repair Coalition, she worked to improve the health and environmental performance of low-income housing through home repair. As a cofounder of The Festival Beach Food Forest project, she helped establish the first fence-less, edible forest garden in a public park in Texas. She also served as a founding board member of EcoRise Youth Innovations, which now brings sustainable design and social innovation to schools world-wide. Elizabeth practices Regenerative Development through the lens of social equity. She has several publications on the topic and has been teaching students about the subject through her work as a college professor. Elizabeth is also a skilled facilitator, bringing together diverse community members to work on common initiatives using the principles of Regenerative Development. Dee Dee DeVuyst holds master’s degrees in architecture and environmental engineering and has combined her technical skills working abroad in Brazil, India, Peru, and Costa Rica. Her interest in community development within the context of the built environment has taken her on a journey that includes working in architecture, environmental engineering, and urban planning, and tailoring that experience to engage and empower underserved communities. She is currently the Program Manager of Community Spaces at Radian, an architecture and urban planning nonprofit, where she focuses on the intersection of design, equitable development, and community advocacy. With both Bachelor of Architecture and a Bachelor of Science in Structural Engineering degrees, Brian brings a strong technical and organizatonal background to his project teams. He is also LEED accredited and is currently leading the Pikes Peak Summit Complex project. At over 14,000 feet, it will be the frst high-alttude project to pursue the Living Building Challenge. Brian has focused his career in architecture on sustainably focused projects in educaton and healthcare and has experience on over 80 projects in these felds. Simon Farrell is an Associate and Project Manager at JVA Engineering. As a licensed Professional Engineer, Simon focuses on Environmental Engineering including design of complex waste water treatment systems. Sarah Parsons is a Technical Services Account Executive for McKinstry, and holds a Bachelor's degree in Electrical Engineering from the University of Maryland and is a LEED Green Associate. She has pursued a diverse career in application of her passion for power generation and energy conservation, from years of technical operations in Alaska’s oilfields, to developing cost-effective solutions for waste-to-energy biogas projects across the US. Sarah now focuses her efforts on the grand challenge of optimizing building performance across the Rocky Mountain Region and encouraging all in the quest to net-zero, with emphasis on Colorado Higher Education Sustainability and Resiliency. Stacey Baumgarn is the Campus Energy Coordinator for Colorado State University. His responsibilities include developing energy, water and resource conservation programs for faculty and staff, and analysis of utility data of campus buildings to document and understand utility use trends to target largest opportunities for savings. Stacey works with building occupants to recommend utility conservation projects with a focus on no-cost, low-cost and in-house maintenance opportunities, building collaborative relationships, developing channels of communication that create and promote a culture of conservation and sustainability, and providing resource conservation education to the campus and broader community. Stacey holds a BA in Philosophy and Sociology, as well as an MSBA in Global Social and Sustainable Enterprise from Colorado State University is a board member for the City of Fort Collins Energy Board. Scott Rodwin, is the Founding Principal of the 13 person Boulder design/build firm Rodwin Architecture/Skycastle Construction (Est’d 1999). His firm creates deep green custom homes, multi-family housing, schools, restaurants, offices, retail and athletic facilities. Scott has been a national leader in the sustainable design field for 27 years and his firm’s work has been published over 50 times. They have created multiple LEED Platinum, Net Zero Energy and “Regenerative homes”. Scott was named AIA's 2006 "Young Architect of the Year" for the U.S. Western Mountain Region and is the recipient of two dozen local, regional and national awards for sustainable design. He received his architectural degree from Cornell University in 1991. Scott teaches green building locally at Naropa University and lectures nationally on “Extreme Green Home Design”. He is a past-President of the AIA and is currently the President of the Colorado Green Building Guild. For Adam, sustainability is more than just a job. For him, he lives, breathes and promotes the underlying values of sustainability everyday - at work, at home, with his family and with his community. For over nine years, Adam has employed analytical and creative thought processes that have yielded innovative solutions to tough sustainability challenges. 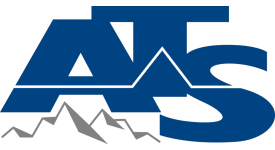 As a sustainability consultant with Denver based Ambient Energy, Adam’s clients range from higher education, to municipal transportation to commercial buildings. His work is centered around pushing the limits of sustainability using third party certifications locally and nationally. Prior to Ambient Energy, Adam worked with Fortune 500 companies such as Nike and VF Brands on greening their retail portfolio of stores. In addition, he was a leader in developing and delivering the first municipal Sustainable Arts Certification in the US to Los Angeles and Santa Monica arts sector. While working with Arts Earth Partnership as part of the City of Los Angeles and the Santa Monica green business program, Adam and his team successfully collaborated with more than 50 organizations, including the Los Angeles County Museum of Art (LACMA). Piep van Heuven leads Bicycle Colorado’s Denver initiative to improve bike infrastructure and policy. Her work is focused on building coalitions and advancing signature initiatives to help Denver catch up with the progress of peer cities. From 2016, she helped Bicycle Colorado produce a new regional mobility conference, formed a coalition of policy advocacy organizations to support increased funding and better policy for active transportation and transit, and organized support for signature mobility projects like Denver’s first two-way protected bike lane on Broadway. Prior to joining Bicycle Colorado, Piep was BikeDenver’s first Executive Director from 2008-2013, building that organization from a volunteer to professionally-led and politically viable entity. BikeDenver played a key role in Denver’s early successes as a bikefriendly city, including helping to launch one of the nation’s first bike sharing programs. John Yeast is the Tour de Fat Nonprofit Relations Manager at New Belgium Brewing in Fort Collins, Colorado. John works with his team to plan and execute New Belgium’s Tour de Fat festival – the company’s annual travelling celebration of bicycles and beer which has raised over $5 million for bike nonprofits across the country since its inception. With deep roots in bicycle advocacy, John champions New Belgium’s culture of cycling within the organization, with their customers, and throughout the communities New Belgium events visit each year across the country. New Belgium Brewing, makers of Fat Tire Amber Ale and a host of Belgian-inspired beers, is recognized as one of Outside Magazine’s Best Places to Work and one of the Wall Street Journal’s Best Small Businesses. The 100% employee-owned brewery is a Platinum-level Bicycle Friendly Business as designated by the League of American Bicyclists, and one of World Blu’s most democratic U.S. businesses, and a Certified B Corporation. Andrew Duvall holds a Ph.D. in Health and Behavioral Sciences from the University of Colorado Denver. He is a Transportation Behavior Analyst at the National Renewable Energy Laboratory, and leads behavioral and energy research within the U.S. Department of Energy SMART Mobility multi-lab consortium. Dr. Duvall’s work examines relationships between people, communication technology, and transportation infrastructure, and aims to identify levers to nudge people toward more energy efficient choices. Some of his prior research informed the development of Denver B-cycle, a pioneering bicycle sharing system in the U.S. Current projects include employer-provided mobility (EPM), behavioral and economic factors for electric vehicle adoption, and the impact of micro-mobility options on parking and curb space. In his role as chief of prevention for Kaiser Permanente Colorado, Eric France, MD, makes cancer screenings readily available through walk-in mammograms and by providing drive-through flu shots. He has recognized, however, patients have “more basic issues” such as getting physical activity and eating a healthy diet. “There’s only so much you can do in the clinical exam room with the physician to focus on that,” said Dr. France. That’s why he became involved in 2008 with Denver’s Living Streets initiative that seeks to increase business to merchants by making the city’s byways friendlier to pedestrians and cyclists. The byproduct of the initiative serves his larger goal: “Kaiser Permanente is engaging in a conversation with our communities, our city leaders, about how we transform the way we build cities so that they naturally encourage people to take short trips by foot, by bicycle, by transit – something that gets us all to move more which has an impact on improving our health,” said Dr. France, who cycles to work three times a week. “We live a life that’s really driven by cars but there’s a whole different way which can involve taking trips with my bicycle, taking transit, walking places,” said Dr. France, who hopes to be “a bit of a revolutionary” in reshaping the way we live. Carlie Bullock-Jones, LEED Fellow, WELL AP, is the founder and managing Principal of Ecoworks Studio and has dedicated her entire career to bringing about a greener, healthier built environment. With a passion for sports and sustainability, Carlie has spearheaded certification efforts for several stadiums, arenas, and training facilities for the NFL, NHL, NBA, MLS and MLB. As the first WELL Faculty for IWBI, and one of the first WELL APs in the world, Carlie is a highly sought-after speaker and writer for national events and publications with extensive knowledge of human health and wellness. She has been extensively involved in the development of LEED standards over the years, serving as a Subject Matter Expert for USGBC and GBCI, assisting in course curriculum, exam development and reference guide creation. In 2012, Carlie was inducted by USGBC as a LEED Fellow, one of 77 in the world at that time. Rami Vagal is a multi-disciplinary professional with background in sustainability, architecture and construction. At Mohawk, Rami leads initiatives that create positive impacts on a social and environmental level. She leads an array of projects: corporate sustainability reporting (GRI), green building certifications, LPC certification, product transparency, social impact projects, and wellness initiatives. Rami believes in taking a systems-wide approach while collaborating with all functional disciplines, marketing and strategic communications, and has a deep understanding of the associated challenges and risks while implementing projects. Rami holds a bachelor’s degree in architecture from Sir JJ College of Architecture (Mumbai), and a master’s degree in architecture from Illinois Institute of Technology (Chicago). Her professional experience brings in-depth knowledge of architecture, engineering systems and sustainability, along with her diverse cultural background. She serves as a member on the Health Product Declaration Collaborative – Supply Chain sub-group and the Mindful Materials portal working group. Cara Carmichael is a Principal with Rocky Mountain Institute’s buildings practice where she focuses on net zero energy and deep energy retrofits in the federal and commercial building sectors. In addition, she is leading efforts on the profitable integration of buildings with the grid. Cara Carmichael co-leads the Pathways to Zero initiative at RMI which is catalyzing early movers in the buildings industry on a path to—or beyond—zero net carbon buildings, by working with individual buildings, districts, cities and portfolios. Highlights of her work include leading negotiation for one of the first net zero energy commercial leases in the U.S., leading the design and construction for both of RMI’s net zero energy offices, the Innovation Center and Boulder Commons, and guiding the GSA to double their historic energy savings using performance contracting. Katrina leads the Energize Denver initiative - working to solve climate change by improving the energy efficiency of large buildings across Denver. 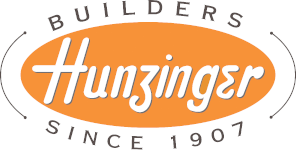 Energize Denver includes Denver's benchmarking ordinance that required large buildings to report their energy performance - similar to miles per gallon ratings for cars. She is also currently leading the Green Roofs Review Task Force process to develop recommended modifications, clarifications, and improvements to the Green Roofs Initiative that passed on the November 7th, 2017 ballot. Her 4 years with Denver build on 8 years of previous experience researching building efficiency market growth strategies at Johnson Controls and advocating at the federal level on energy and climate policy. Having merged experience in environmental education, research, and non-profit development, Emily currently works as Director, Greenprint Center for Building Performance at the Urban Land Institute (ULI). Through this role she helps real estate owners, developers, and managers cultivate energy efficiency and sustainability. She also leads ULI’s only tenant focused program, the Tenant Energy Optimization Program (TEOP) which promotes sustainable and efficient build outs in leased spaces. Prior to ULI, Emily worked at the Institute for Market Transformation, leading real estate broker education, incentivizing tenant engagement initiatives and green leasing. She has spent time working in environmental education at the Alliance to Save Energy, as well as in non-profit development at Resources for the Future. Emily holds an MPA in Environmental Science and Public Policy from George Mason University, and a BA from Elon University. She is also a Fitwel Ambassador and working on a LEED Green Associate certification. Barnabas Kane is a second-generation landscape architect and planner. His multi-disciplined approach blends landscape architecture, ecology, water, art, and community planning. His design philosophy draws from a broad spectrum of expertise with projects ranging from Poudre Learning Center in Greeley, CO to Cloud City and many Visitors Centers throughout the country. He is a permaculture instructor, a regenerative practitioner, has taught at the ASU design school and presented to many diverse audiences including the national Green-Build conference. Craig Karn is a licensed Landscape Architect practicing land planning and landscape architecture for 38 years in Colorado and the U.S. Craig has led hundreds of open space, park, civic, neighborhood and master-planned community design efforts throughout his career. The breadth of his experience ranges from the 1,033- acre Leyden Rock Community in Arvada, CO to retail innovator, Stanley Marketplace and many community projects nationwide. Tim Gallegos of GAF Streetbond Division works with the design community to beautify the area and make it cooler, literally. Tim believes that it is everyone’s job to make this world a better place, no matter how small or large the contribution. Tim has been educating the country on how to bring down the temperature of cities through reflective coatings on the roof and on the pavement. Projects include, City of Los Angeles School District, Houston, TX downtown, City of Austin Streetscape and many others. As an active AIA, ASLA, CSI, and USGBC member, Tim has been a member of many committees, President of his local chapter, and Region Conference Chairman. As a continuous learner, Tim has earned many designations in these organizations and is currently working on his LEED Green Associate certification with USGBC. Tim holds a Master’s Degree from Colorado State University. Mark Norris received a B.S. 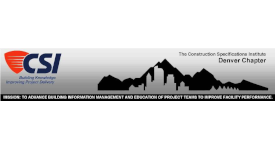 in Construction Management Program from Colorado State University in December. He is a LEED Accredited Professional, Envision Sustainability Professional, Certified Green Professional (CGP) – NAHB, and successfully completed the GPRO Operations and Maintenance Essentials training. During his tenure in CSU's Construction Management program, he served in assistant estimator and field engineer roles. He acted as the treasurer of the USGBC student group and was a member of the program's Sustainability Associated Schools of Construction (ASC) competition team. At IBE, he supports LEED certification and other sustainability projects. Brian Dunbar is Executive Director of the Institute for the Built Environment (IBE) and Professor Emeritus of design and construction at Colorado State University. He holds two degrees in architecture from the University of Michigan and is a LEED AP. Brian has taught Construction Management, Interior Design, and Sustainability courses at CSU, and created a graduate emphasis in sustainable building and professional certification courses in green building. He is Chairman of the Board for the Center for Living Environments and Regeneration, a non-profit established by the university to help disseminate a framework for regenerative development. As a Building Performance Analyst for DLR Group located in Denver, Penny is involved in sustainable design integration and performance simulation for a diverse range of projects in a range of locations. Her passion is elevating the occupant experience in low energy, high performance buildings through thoughtful design and analysis of the indoor environment. With over 10 years of experience in high performance building design and simulation, she is experienced in the detailed analysis required to optimize building performance and the collaboration required to convey technical sustainable strategies. Terry leads the Southwest Region High Performance Design Team. Bringing three decades of HVAC design into High Performance Design, Terry’s emphasize is on energy reduction through the integrated design process. As a High Performance Designer, he uses his knowledge of daylighting, HVAC systems, thermal comfort and energy efficient techniques to deliver high-performing buildings for clients and users. A believer in using science to design better buildings he uses building energy modelling to bring data into the design decision making process. "The best solutions come from a collaborative process, when there are no restrictions placed on the ideas that are presented and an open discussion is encouraged." Terry is an ASHRAE certified Building Energy Modeling Professional and a LEED Legacy AP. 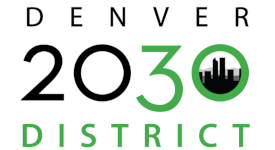 Jerry is the Chief Sustainability Officer for the City of Denver and directs the work of the Office of Sustainability in helping City agencies plan, finance and implement the initiatives that will allow the City to achieve its 2020 Sustainability Goals. He works with agencies throughout the city government as well as with numerous outside stakeholders to take full advantage of the creativity and commitment of all partners in the City’s sustainability work. Jerry also serves as the principal spokesperson for the Office of Sustainability and does numerous presentations each year about Denver’s sustainability efforts for groups both inside and outside of Denver. Brett serves as the City of Boulder’s senior climate and sustainability coordinator. His primary responsibility is the ongoing evolution of the city’s climate action initiatives. He is also a team member on the city’s renewable energy strategy and action team. He currently manages a number of program areas including the city’s energy resilience project portfolio and the Renewable Heating and Cooling initiative (RH&C) project. He is a co-founder/organizer of a multi-city RH&C initiative that includes Burlington, VT; New York City; Washington, DC; and 12 other observer cities. This initiative is currently working with all of the major heat pump manufacturers serving North America to develop a market transformation strategy template for cities. 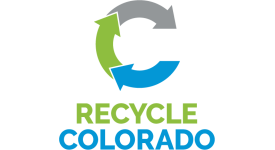 Since joining the City of Durango in 2016, Imogen has worked on a wide variety of initiatives, including recycling and sustainability outreach, solar PV feasibility, Durango’s STAR certification, and organizational resource use efficiency. In 2018, the City of Durango launched resilience efforts with workshops focused on building organizational and community capacity. Prior to relocating permanently to the US, Imogen gained experience working on municipal and non-profit renewable energy programs in her native UK. Imogen holds an undergraduate Master’s degree from the University of Bristol, UK and a Master’s in Geography and Natural Resource Management from the University of New Mexico. Aaron serves as the Market Development Manager for the LEED for Cities program at the US Green Building Council. In this role he works with local governments across North America, introducing them to the concept of sustainability performance metrics and supporting their efforts to track community performance and improvement using the LEED for Cities rating system. 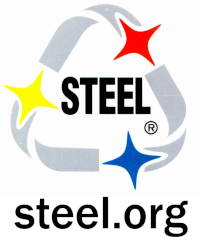 Previously, he worked for STAR Communities before its merger with the LEED for Cities program, advancing that organization’s work with communities across North America, leading the STAR Affiliates program, and developing the organization’s educational offerings. Aaron was the Sustainable Cities Specialist at the US Green Building Council where he led national advocacy efforts at the municipal level, including for the LEED for Neighborhood Development rating system. He was involved in the development of the STAR Community Rating System and the EcoDistrict and Climate Positive programs. Michele Crane is a licensed Colorado architect with more than twenty years’ experience in all aspects of planning, design, presentation, documenting, construction administration and budgeting on large commercial and government projects. As Facilities Design and Construction Manager for the City of Boulder, she manages and executes capital projects for all City of Boulder Facilities. She is also responsible for developing a facilities strategic plan that addresses how to convert existing building stock to align with vision for city buildings of the future that meet Climate Commitment goals and other guiding principles established for city buildings. With an educational background in Chemistry and Mathematics and work experience at the U.S. Department of Energy, National Renewable Energy Laboratory and Xcel Energy, Carolyn Elam has an extensive background in energy efficiency and renewable energy technologies. At her current role with the City of Boulder, Carolyn is responsible for developing and implementing Boulder's next generation of demand-side management (DSM) strategies, programs, and initiatives consistent with the city's Climate Commitment and Energy Future goals. She works with community stakeholders and city staff to create strategic engagement and action plans for the city's energy-related work. She also helps establish aggressive energy efficiency targets in all building sectors, strategies to achieve those targets, and metrics to measure success toward climate and other goals. Jacob Goodman’s educational background is in electrical engineering, mathematics and economics and since college he has spent 10 years in the building industry working as an energy modeler and energy efficiency consultant. He has assisted numerous building projects perusing LEED Certification, utility incentives, Lifecycle Cost Analysis, retrofit package study with calibrated modeling, building carbon footprint analysis and energy code compliance. 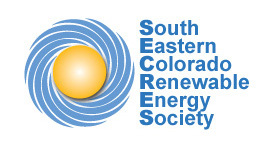 Over the past year and a half, Jacob has assisted the City of Boulder Facility and Asset Management team in evaluating several different building topologies to determine retrofit package options to reduce energy use and evaluate moving city-owned facilities away from gas consumption with the goal of carbon neutrality via renewably generated electricity. As Director of Sustainability at OZ Architecture, Julie leads the Sustainability Department and internal Steering Committee and is passionate about leading OZ towards more regenerative design. Julie has been at OZ for almost 20 years and co-founded the Sustainable Design Committee in 2000. Julie serves as a consultant on projects, provides educational programs for staff, authors green programs/policies for the office and provides outreach to clients and the community. She has professional accreditations in WELL, LEED and EcoDistricts and has worked with a variety of rating systems. While her background is architectural, her experience goes beyond the bricks and mortar of the building by offering client services such as city planning & design guidelines, educational materials, occupant training and coordination of sustainable facility management programs. Julie is a current Board Member for USGBC Colorado and is a member of the ULI Building Healthy Places Committee. Tarah brings over fifteen years of experience in foodservice management, facility design, and project supervision. She started her foodservice journey at Whole Foods Market helping to develop their Rocky Mountain presence and Green Mission program. Now with Ricca for over eleven years, Tarah promotes the client’s vision, and is a good listener that is able to elicit key information from the project team. She proactively engages all team members, building trust and consistency, and sees the big picture to come up with collaborative solutions. Tarah is a sought-after expert of sustainability in the foodservice industry. She is one of the main authors of the National Association of College and Universities Food Services (NACUFS) Sustainability Guide and has presented numerous speeches on sustainable foodservice design to engineers, architects, and others within the foodservice industry. In recent times, women leaders are re-affirming the call and standing for a Culture of Courage more powerful than ever before. Today, women aren’t begging to be heard, or even demanding it, but are simply expecting it. And this deliberate expectation overshadows fear; women are speaking up, women who are bringing attention to injustice, women are supporting each other and not taking “no” or “not right now” for an answer. Join us for the Women in Green Power Breakfast: The Culture of Courage, to celebrate the crucially needed and deliberate voice that women bring to society and to the green building movement. This workshop will provide participants with a deep look into LEED for Cities and Communities and the information needed to pursue certification. The focus will be on understanding certification options, best practices for improving urban sustainability and quality of life, and the new options available through LEED for Cities and Communities. With its new LEED for Cities and LEED for Communities framework, USGBC encourages innovation in sustainability on a broader scale than ever before. Attendees will leave equipped with information on how to successfully mobilize and pursue LEED for Cities and Communities projects. 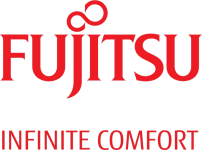 *Note: This pre-conference workshop takes place offsite at Panasonic. 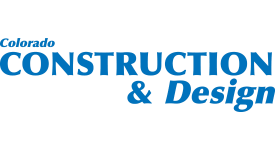 This workshop will cover both the LEED Building Design and Construction (BD+C) and Interiors Design and Construction (ID+C) rating systems for the upcoming 4.1 beta! In addition to covering the system goals and credit requirements the session will bring to light the value of the Submittal Tips that have been collaged by the GBCI reviewer team. Understanding these tips supports best practices for high quality LEED submissions. Participants will gain a solid understanding of new and cutting edge green building topics including environmental and health product declarations, building enclosure commissioning and life cycle assessment. LEED v4.1 is here and hundreds of buildings are navigating the performance based approach to LEED O+M certification. Data is helping teams better understand successes, reflect on where they missed the mark, and identify the next opportunity for improvement. This workshop will explore the performance based approach to LEED O+M certification and how to use the Arc platform for success. 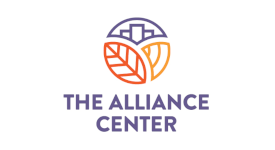 The Alliance Center has endeavored to be the first existing building known to complete a direct current (DC) microgrid within its walls on a global level. This innovative project has tackled hurdles including zoning, policy, engineering, property insurance, real estate investment tax credits, UL rating and many others in hopes of sharing data and results for building efficiency improvements. With the desire of showing efficiencies by powering equipment solely on DC power, the DC Project is hoping to be a catalyst for a major change in electrical distribution. Participants in this session will learn about the DC Project itself, some of the pitfalls, the many successes and the outcomes from the installation. Also, as part of the session, the speakers will take participants into the depths of The Alliance Center to complete a hands on tour of the battery system and brains of the microgrid, the solar panels on the roof and the DC equipment located within Suite 100. Join the Catalyst HTI design team in a tour of Denver's next WELL building. This session will include panel discussions and presentations on the core and shell certification of the building, the interior fit out, and input from the building's tenants. Learn how considerations for health and wellness are transforming the built environment and shaping the perspectives of the AEC community. Following the tour, an interactive exploration into biophilic design principals and correlated health impacts will inspire your next project. Thursday, April 11, 2019, 10:00 a.m. - 3:45 p.m. 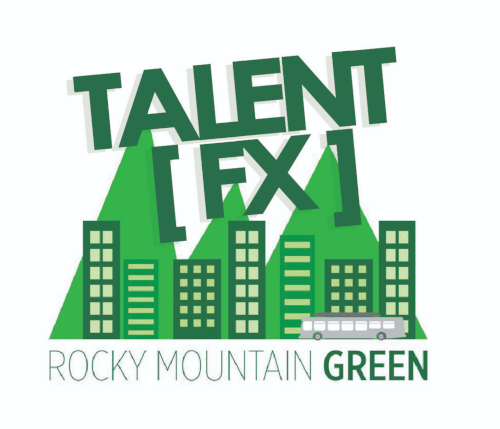 This year at Rocky Mountain Green, we will offer dedicated programming for students and Emerging Professionals via TalentFX. This program will focus on leadership and career development in an intimate, salon-style setting. 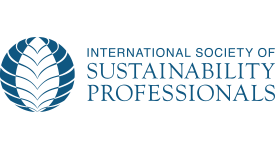 Students and Emerging Professionals will have the opportunity to hear from USGBC leadership, will hear from a LinkedIn expert on the best ways to utilize the platform for career enhancement, have the chance to learn from some of their own peers about their personal journeys in the sustainability field, and more! As an added bonus, we will be offering FREE professional headshots on a first-come-first-serve basis to our TalentFX attendees. Through TalentFX, USGBC strives to foster growth, inspiration, and build a strong pipeline of leadership to carry our work into the future. The final Talent FX schedule and details will be announced soon. The focus of this panel is to hear from three young professionals about how their passion for sustainability has influenced their career trajectory, and how they’ve taken steps to carve a niche for themselves in their current organizations. Mahesh Ramanujam will preview brand new public opinion research related to how the public understands and supports green buildings, sustainability and the environment, and afterwards a facilitate a discussion with the emerging professionals in attendance to listen to their stories and solicit their input and ideas, to prove that anyone has the power to make a measurable impact on the quality of life of everyone around us. Regeneration is all the buzz, but what does it really mean? Join us for an interactive and thought provoking session on a journey toward understanding the five core capabilities for becoming a regenerative practitioner, starting with the ultimate aim of regenerative practice. Hint: it’s probably not what you think! 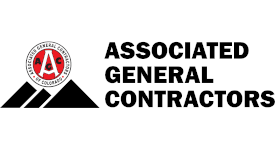 Do you have questions about a GBCI project or the certification process? Schedule a visit to GBCI Certification Work Zone at the USGBC booth to meet one on one with reviewers and assessors to discuss specific projects or rating system requirements. Reviewers will be on hand to discuss the LEED rating systems as well as GBCI’s TRUE and Parksmart rating systems. Walk-in questions are welcome and encouraged. Advance appointments can be made here. Book your appointment now! 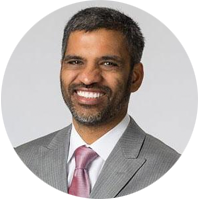 Hilari Varnadore is a systems-thinker focused on urban sustainability. She led the development and deployment of the first framework and certification program for local sustainability in the US, the STAR Community Rating System. Hilari currently serves as Director for LEED for Cities and Communities at USGBC. She previously led STAR Communities as its executive/founding director. She is invested in helping cities use data to drive decision-making, investments and community improvements. Hilari has more than two decades of experience in public administration and nonprofit leadership. She has served as a chief sustainability officer and principal planner (county government) and led two nonprofit organizations as CEO. Varnadore holds a Master’s of Arts degree from Northern Arizona University in Geography with an emphasis in Community Planning and a Bachelor’s of Science degree from Unity College of Maine in Environmental Policy. Hilari serves on the board member of the Emerald Cities Collaborative and is a Girl Scout troop leader. 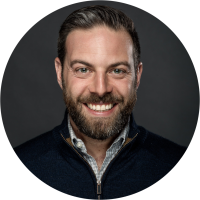 Chris Bowyer is the Director of Building Operations at The Alliance Center and is the lead for ensuring the DC Project meets the guidelines of the organization and serves as the primary person responsible for green building certifications for the building. As the owner’s representative for the DC Project, Chris has been involved on the project since its infancy and was involved with many of the intricate decisions and details associated with the system. Ensuring the installation is carried out in a manner which meets The Alliance Center’s historical significance, tenant impact is minimized and codes are followed has been Chris’ role in the most recent months. Patrick Durham, PE is a senior project manager and licensed electrical engineer at AE Design, an electrical engineering and technology consulting firm focused on integrated solutions. He is experienced in power, lighting, audio-visual, telecommunications and other special systems. His project types have included healthcare, education, commercial, retail, residential, government, labs, rec centers, parks and roadways. Patrick's LEED-certified projects include higher education, commercial office, and core & shell facilities. Additionally, he has designed Solar PV systems for affordable housing, higher education, and National Park facilities. 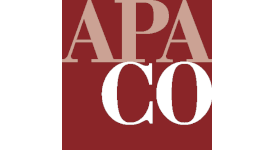 Prior to joining AE Design in 2015, Patrick worked in New Mexico and Pennsylvania. Patrick has a Bachelor of Science in Electrical & Computer Engineering from Carnegie Mellon University. Steve joined NREL in May 2013 and works in the Commercial Buildings Research Group. 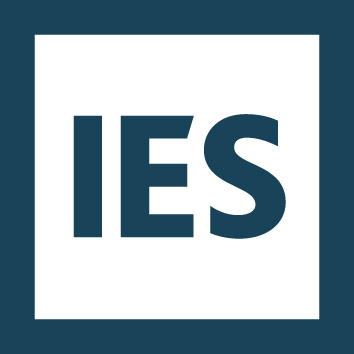 Steve's areas of expertise are electric power distribution systems, DC power systems, linear and nonlinear optimization, and energy informatics. Prior to joining NREL, he completed a Ph.D. at Colorado School of Mines. His dissertation research developed analysis and optimization techniques for maximizing the energy efficiency of electrical distribution systems in commercial buildings using a mixture of AC and DC distribution. Lisa works closely with industry leaders to increase the knowledge, financial incentives and implementation of green building practices. During Lisa’s interactions with the market she listens and learns; always bringing the market knowledge back to USGBC to support and enhance products and customer service. Lisa is known for both her technical knowledge and ability to support large scale clients and projects. She currently maintains the LEED AP ID+C credential and is proficient in the LEED for New Construction, Commercial Interiors & Existing Buildings rating systems. Over the years she has worked closely with EPA Portfolio Manager ENERGY STAR and the Federal Guiding Principles. Experience includes being a Certified Energy Manager, CEM and Certified Property Manager, CPM with a Real Estate Broker’s License for the State of Colorado. With 14 years under her belt as commercial real estate property manager, 4 as a sustainability consultant, and 7 at USGBC Lisa understands the market brings a unique perspective to USGBC. Amanda has been teaching classes for LEED accreditation since 2007 and started Ampajen Solutions in July, 2008 to provide full-service consulting for LEED for Existing Buildings: Operations & Maintenance. 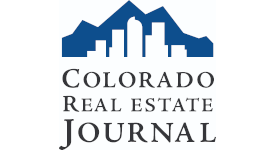 She speaks about LEED across the country and is a frequent contributor to the Colorado Real Estate Journal. Some Ampajen projects include: The Colorado State Capitol, 1001 17th Street, 2345 Grand Blvd in Kansas City, 1221 City Center in Oakland, Towers at Westchase I & II in Houston, and The Executive Building in Washington, DC. Lauren McNeill attended Michigan State University earning a Bachelors in Economics with a specialization in Environmental Economics and Public Policy. Throughout her education, Lauren focused on natural capital valuation and making a business case for conservation. Upon graduating in 2009, she moved Denver, Colorado where she has spent the last eight years working at Group14 Engineering. Group14 is a JUST Organization, BCorp, and Public Benefit Corporation dedicated to inspiring better buildings where people thrive. Lauren is a project manager and sustainable design consultant for design and construction teams interested in creating a sustainable built environment through the pursuit of green building rating systems including experience on over 100 LEED projects. Lauren is a LEED AP BD+C, a Green Globes Professional, and Living Future Accredited. As an Ambassador for the Colorado Living Building Challenge Collaborative, Lauren works to educate the Front Range about strategies for creating a healthy and resilient future for everyone. Phin is a Sustainable Design Consultant at Group14 Engineering with extensive background and knowledge in building and environmental science and LEED and WELL certification management. He has a Masters' of Science in Environmental Management & Sustainable Development from St. Edward's University and carries both LEED AP and WELL AP designations. Phin has managed and consulted numerous project types including commercial, residential, industrial, government, and school projects. Aside from taking his son to the great outdoors, he regularly volunteers for the Delores Project and Jeff County Open Space and is also an active member of USGBC having served as past chair of the Colorado Emerging Professionals and Ambassador for their ADVANCE program. As Design Principal for Beck Denver, David is responsible for creating, developing and leading the architecture and interior design teams. David has worked as a design principal for several noted design firms throughout the United States and has won multiple industry design awards throughout his career. David is an advocate of the collaborative team approach to design, recognizing that the best solutions evolve from working with the client, design professional and consultant teams to elevate project goals through inspired thinking and collaboration. A registered architect with over 25 years of experience, David brings a diverse portfolio that spans from small, high-profile, one-of-a-kind projects to large, complex, multi-tenant and multi-stakeholder facilities. In addition, he brings 15 years of interior design and master planning experience. He has a Bachelor of Architecture degree from the University of Kansas where he currently sits on the School of Architecture and Design Dean’s Advisory Board. He is a talented artist, bringing highly-detailed conceptual designs to project discovery. 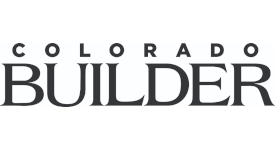 Carl Koelbel is currently working at Koelbel & Company where he carries on a three-generation tradition of real estate development in the Denver Metro area. His primary focus is on development of land currently held by the firm as well as identifying and securing future development opportunities. Additionally he started the Koelbel Urban Homes division which focuses on developing for-sale, infill homes. He also works extensively developing affordable housing in Colorado. In just over 7 years Koelbel and Company will have delivered over 400 units of affordable housing in six different projects with more on the books. He also manages major projects for Koelbel including the Catalyst office building along Brighton Blvd. and the redevelopment of Regatta Plaza in Aurora. Carl received his Masters of Business Administration with a concentration in Real Estate and Finance from the University of Colorado in Boulder. Before receiving his M.B.A. he was a Research Associate at the Urban Land Institute in Washington, D.C. At U.L.I. he assisted the Senior Resident Fellows in various research projects with a focus on infrastructure and its effect on land use patterns. He has a B.A. in Economics and International Relations from the University of Southern California and is an avid skier, golfer, and tennis player. He is always thankful of the support of his wife Fallon and two children, Harper and Reagan. 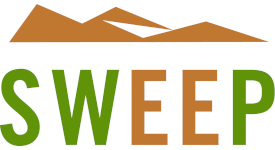 Rocky Mountain Green (RMG) is the flagship green building event in the Rocky Mountain region, uniting hundreds of industry leaders, experts and professionals dedicated to sustainable building. Seventy percent of attendees are LEED professionals, and their collaboration and sharing of best practices helps move the industry forward. For more information on sponsorship or exhibiting, contact Charlie Woodruff at cwoodruff@usgbc.org or 208-871-4601. RMG sponsors enjoy prominent branding onsite throughout the Exhibit Hall, conference sessions, special events and online. As a RMG sponsor, you can engage with sustainability leaders from diverse fields. View special sponsorship opportunities for 2019. As an exhibitor, interact with an array of stakeholders to promote high-performing buildings and schools. In addition to booth space, exhibitors receive online and onsite recognition and Expo passes. RMG wouldn't be successful without the efforts of the USGBC volunteers who give their time and energy toward organizing and staffing the event. As a conference volunteer, you can receive free admission to the conference. Volunteer opportunities will be announced soon. Plan ahead and save by registering before the early bird deadline—now extended to Monday, March 4, 2019. Register by March 4 and save up to $50 on your conference pass. Check out registration package options below. RMG offers discounts for bulk registrations of 4 or more people. 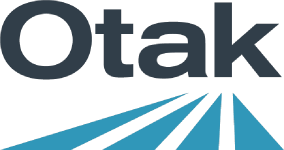 Register to receive 10 percent off standard rates for a full conference pass with the special bulk discount. For more information, contact mountain@usgbc.org. 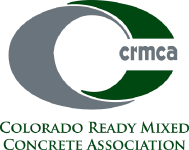 RMG 2019 is hosted at the Embassy Suites by Hilton Denver Downtown Convention Center, a LEED Silver facility. Download and use the RMG mobile app. Have other ideas on sustainable habits? 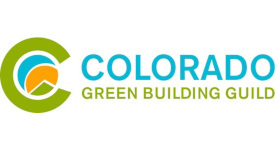 Share them with us on Twitter @USGBCColo with the hashtag #RMG2019. 1:30 p.m. – 1:45 p.m. and 1:50 p.m. – 2:05 p.m.
Join us for a short green building tour of the conference hotel, including background on its LEED Silver certification, saline pool, waste management, lighting, and energy-saving features and equipment. This tour is first-come, first-served – meet at the USGBC Expo Booth for departure.